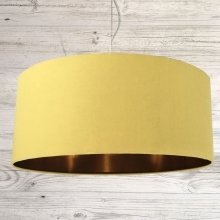 A soft cream drum ceiling lampshade will look gorgeous in any room. Made in cream cotton and finished with a neat hand rolled edge. 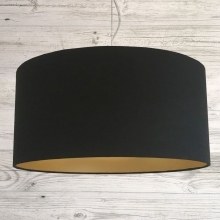 This pendant lamp shade is lined in brushed gold adding a warm glow and is perfect to hang as a pendant. Size: 16" 18" 20" 22" 24" 28" 32"